Ford Transit MK8 accessories include all elements for Ford Transit model like antifreeze coolant, wipers and motor oil. Ford Transit MK8 accessories include all elements for Ford Transit model like antifreeze coolant, wipers and motor oil. The new model comercial vehicles was introduced relatively recently and immediately gained a multitude of satisfied customers. With the availability of multiple body styles and reliable engines - everyone is able to choose the right model for myself. Due to the fact that the Ford Transit 2013 - is a new car on the market, we should take care of its proper regular service. 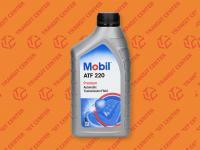 We can not forget about the regular exchange of engine oil, brake fluid and filters. All these products you can purchase in our shop Internet at very reasonable prices. 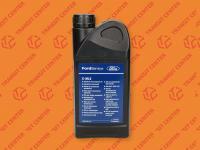 Engine oil must be replaced at least once a year or after driving 20 - 30 thousand km. This ensures efficient operation and maintenance of the drive unit. When changing engine oil we should also take care of the filters. Fuel filter, air filter, cabin filter should be replaced at the same time as the engine oil. Thereby avoid unpleasant surprises related to the supply of contaminated fuel or steaming windshield inside the cabin. Taking care of the condition of the power unit, we can not forget about our safety. That is why, after two years should replace the brake fluid in our Ford. 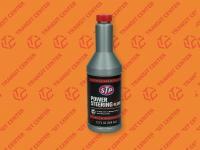 The brake fluid is hygroscopic, so that it loses its value and effectiveness over the years. Service our new car according to the manufacturer will be able to enjoy its efficiency for many years. We also invite you to visit our store stationary in Pędzewo (Poland), where our qualified sellers will help you find the right parts for each model of the Ford Transit.